I keep a bag on the back of my door for my makeup empties and since the bag was getting pretty full, I thought it is time for another empties post. The last empties I posted was in August 2015 so a new one is definitely due. This is all the products I have finished up since then. I did however throw out a few mascaras without including them, mainly because I can't remember what I think of them. That probably indicates that they weren't that amazing. 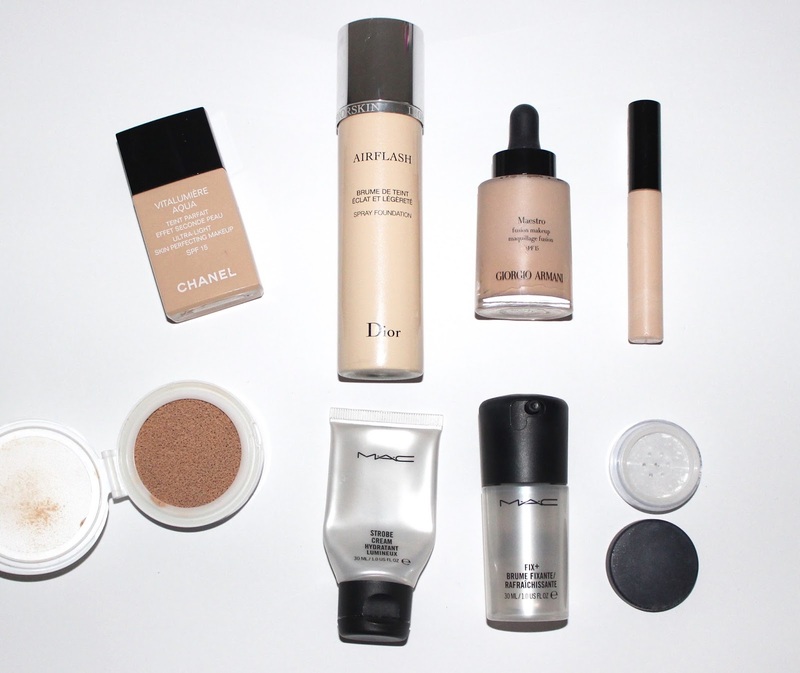 Holy grail foundation. Already repurchased. I really enjoyed this foundation, it left my skin looking flawless. There is a bit of a knack to applying this but well worth the effort. Coverage is good and wears well. I reserved this as a 'going out' foundation. Originally I purchased this from Harrods as it was unavailable in Australia, it is now here though. May repurchase - it felt like it didn't have as many applications as a conventional bottle of foundation so that puts me off a little. I purchased this soon after its release, at the peak of the hype around it. I was surprised by how much I enjoyed it. It is light coverage but enough to even out my skin and make me look put together. A favourite for when I was in rush. I have recently purchased the new Maestro Glow so I won't be repurchasing anytime soon, I need to give the new a good try first. I have had this concealer for way too long. I purchased it off eBay when all the YouTubers were obsessed with it. I liked it, the shade Fair was a great match for my skin. I will probably repurchase - it is a good product at a reasonable price. I LOVE this foundation. I used this almost everyday for about 2 months after I initially purchased it. It is so easy to use and it makes my skin look flawless and glowing. I purchased the duo pack with a refill so I am currently using that one. Will repurchase after using up the refill. I use this as both a primer and moisturisers in rushed mornings as a kind of two products in one. I really like this product and will continue to repurchase (I already have one almost empty and backup). TIP: the travel size actually works out cheaper than the full size! $15 for 30ml vs. $55 for 50ml. I purchased this because it seems to be a product every makeup lover uses. I didn't have an issue with the product - it did as I wanted. I however hated the spray on this, it was like pointing a hose at my face. I am now using an Urban Decay one that has a much finer mist. This was a sample included in a Mecca Beauty Loop box ages ago. It is only 1.3g but lasted quite some time. I liked this powder - it set my makeup without leaving my skin looking really matte. The texture was a little odd though. I won't purchase the full size. I didn't like this mascara. The formula was too wet and just left my lashes looking clumped. It did nothing Sensational for my lashes. I enjoyed this mascara. It made my lashes dark and long, it was good for volume. I didn't really find it to hold a good curl though. Wouldn't repurchase. I should have thrown this mascara out years ago but I paid over $50 for it so I couldn't bring myself to part with it. Especially since I have barely used it. Why? Because it is bright blue and I got talked into at the Chanel counter. It is a lovely mascara just not one I needed to pay what I did for it. A nice mascara that made my lashes long and dark. I have another sample of this to use before I consider purchasing it. I didn't particularly like the original formula of the Le Volume De Chanel mascara but I really liked this one. It is a very intense black and made my lashes look full and dark. Would possibly purchase. This is a tinted eye primer. I quite liked this product. It was good to neutralise the colour on my eyelids even without using shadows on top. I won't repurchase at this stage as I have other products that will do the same job (MAC Painterly Paint Pot & NARS Primer). I wish I could give an opinion on this product but I only got to use it once before it dried up and fell out the next time I opened it. Fail. I love this for quick and easy brow grooming. 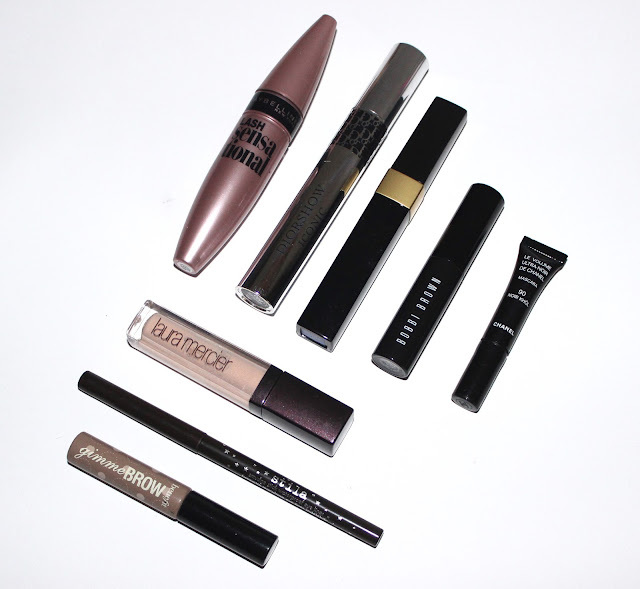 It makes my brows look neat and tidy with very little effort. Already repurchased. A pretty long list of empties there. Pretty happy with what I have used up. No lip products though. I'll have to get working on them (HAHA!). Anyway I don't use products to finish them, I use them because I like them and enjoy using them. 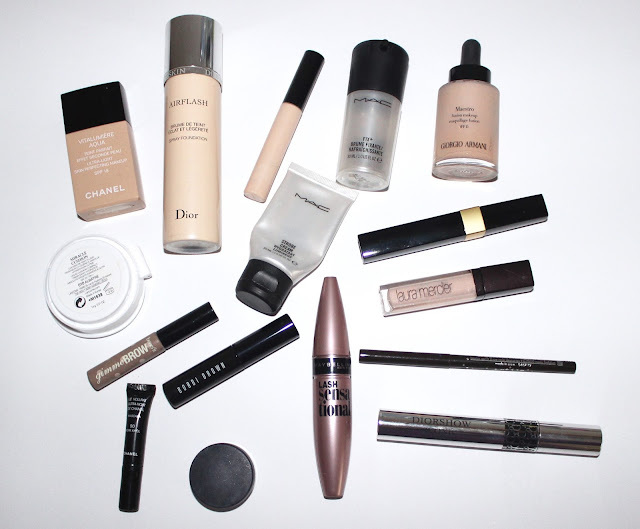 What are your latest empties? You've done so well. I struggle to finish make up! Great review! I think I would go for the MAC - Strobe Cream. It really seems like a good one. You've used up a ton of empties, that is so awesome!! I am struggling to get through any of my makeup!